British prime ministers have very limited freedom to make their own policy – this is heavily dictated by the United States. It is very difficult for any British prime minister to resist pressure from a US president. In contrast to Blair’s eager participation in the Iraq War, the British Labour prime minister in the 1960s, Harold Wilson, resisted significant US pressure to send British troops to Vietnam and repeatedly urged US restraint in Vietnam, to the point of being rebuked by President Johnson. The US control over British policy is discussed by historian Clive Ponting in his book Breach of Promise about the Harold Wilson Government, 1964-70. One of the first duties of a British prime minister is to go with his deputy visit the US president to receive instructions on what British policy should be. Ponting obtained copies of the original minutes of these meetings, which became available from the US side under the US Freedom of Information Act, but which remain classified in Britain. These minutes reveal a series of outrageous demands on Britain, affecting both domestic and international policy, which shaped the course of the Wilson government, led to the failure of its economic policy and to its electoral defeat. For example, the US forced a currency exchange-rate policy on Britain that caused serious economic damage. Whenever ministers took office a large proportion of their time was spent talking to and corresponding with their opposite numbers in Washington. Relations between Britain and the United States had a dominating influence over the policy of the Labour government, particularly in its first three years in office. Previously secret American documents reveal that in the course of 1965 the Labour government reached a series of ‘understandings’ with the United States. What was agreed was never made public, yet these unwritten agreements fundamentally shaped both British domestic and strategic policy over this period. … The Cabinet was neither consulted nor told about what had been agreed, although individual members had their suspicions about what had been going on behind their backs as the consequences made themselves felt in… policy. … George Brown told one of his colleagues Wilson was ‘bound personally and irrevocably to President Johnson and ceased to be a free agent’. Yet, even at the height of US control over British policy, in 1965, Wilson resisted US pressure to send British troops to Vietnam – even a token gesture. US Secretary of State Dean Rusk once told Harold Wilson that “the USA did not want to be the only country ready to intervene in any trouble spot in the world”. It aroused less resentment against the US to have an ally willing to act as a proxy on their behalf and for USA not to be seen acting unilaterally on its own. Britain’s military policy was closely negotiated with the US. Britain maintained several military commitments during the period but Vietnam was not one of them. Wilson had wanted to dispose of the empire East of Suez but the US insisted Britain should retain this. Subsequently, Wilson argued these military commitments conflicted with providing troops to Vietnam and left the government politically too weak to comply. The US put immense pressure on Britain to contribute troops to Vietnam, to show solidarity with the US, and the US requests were repeated throughout the period. At the height of US control over British policy, in 1965, the US asked for merely a token UK presence in Vietnam but Wilson successfully refused even this. When Wilson refused, the US accepted and conceded they had already assessed he would be unable to deliver the concession they were asking. Why did Wilson do this? Why was the US prepared to allow Wilson to do this? The US had a very accurate assessment of the capacity of the British PM to give the policies they were asking. The US understood that delivering some policies to the US weakened the capacity to deliver others. Every time the British prime minister had to refuse US policy demands, the US had already anticipated this in their own assessments. In effect, Wilson chose which battles to fight – he made concessions in most areas and hence earned the right to reserve his own decisions in others. Yet, despite knowing Wilson could not deliver this, the US pushed him on Vietnam anyway. The US pushed really hard. The US were quite prepared to force the British prime minister into political suicide – it was up to him to refuse. Ultimately, the cumulative effect of different US policy demands did lead to Wilson‘s electoral defeat. The Wilson government presided over a Labour party that was not monolithic and had significant internal political differences. British public opinion had a large amount of opposition to the Vietnam war. If Wilson tried to deliver a token contingent to Vietnam, this would affect his ability to yield to the US in other areas of policy. 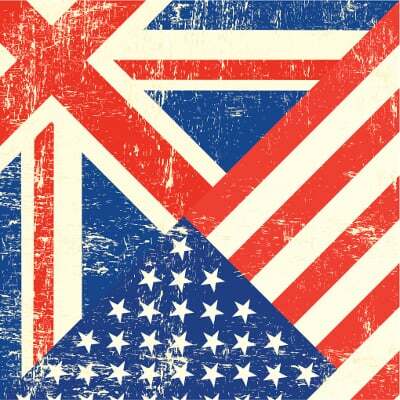 Britain was largely held captive by the US, but there was some freedom to make choices. Ironically, as Britain became trapped by circumstances, such as the economic situation, in some areas it gained more freedom from US policy. Later in its term, as Wilson’s government became weakened by a deteriorating economic situation, caused by previous concessions to the US, policy divergences with the US gradually increased. A leader in a stronger position, with a more united party, with a simpler political situation, with a stronger economy, would have been under more constraints to observe US policy. Great leadership is not about easy choices in simple situations – it is about difficult choices under extreme constraints. As an ally, the US was more like an adversary than a friend, forcing policies on the prime minister that were against the British national interest. Many of the criticisms of the Chilcot Report related to the way Blair made decisions without consulting the Cabinet. However, what we learn from Ponting’s study of the Wilson government is that seems to have been the normal way of doing business. This seems the inevitable result of US influence over policy. What was different about Blair’s government was the reckless and poor choice of decisions, disregarding the consequences, not considering advice, dismissing objections. The most memorable example of dismissing dissent was the revolt of all the Foreign Office lawyers (27 in total) who collectively advised the invasion of Iraq was illegal. They were sidelined. By contrast, lick-spittles who were prepared to change facts to meet the political ‘reality’ were promoted, such as John Scarlett, head of the Joint Intelligence Committee, who revised the intelligence reports multiple times until they conformed to Blair’s requirements. What had changed in the years between Wilson and Blair? Blair had no serious internal dissent to face. In the 1960s and 70s, Wilson had led a Labour Party containing many diverse viewpoints and it was a constant struggle to maintain unity. In the late 1980s and early 90s, Blair’s predecessor as Labour Party leader, Neil Kinnock, introduced a series of ‘reforms’ which dramatically curtailed internal democracy within the party. Dissenters could easily be removed. Unfortunately, several people of great ability were also lost. As leader, Blair was not really held in check by anyone. Once in government, this principle was then applied to civil service advisors. When the advisors who make objections are removed, it becomes impossible to avoid foreseeable problems. To Blair, politics mattered more than policy. Defeating one’s opponents mattered more than examining the arguments. Winning was all that mattered. Democracy covers a wide spectrum, at one end including the whole population in participatory decision-making, and at the other confining competition of ideas strictly within a politburo. Unfortunately, it appears Blair failed to maintain even the latter. Democracy is fundamentally based upon the principle that policies have to be examined, justified and argued over; all different perspectives have to be heard. Without this testing of ideas, mistakes become inevitable. Wilson was a real intellectual heavyweight – this is not a description ever used about Blair. Wilson was often regarded as the real author of Britain’s welfare-state, and the person who managed to ensure its successful implementation at a time of deep economic crisis, when post-war Britain was deep in debt, and its main creditor (USA) was opposed to the policy. It is difficult to imagine Blair carrying off an achievement of that scale. Wilson showed that the National Health Service and welfare state saved money and made the economy more efficient, laying the foundations for post-war recovery. (Additionally, the welfare state made the country more politically cohesive, thus made British leaders better able to delivery US policy demands.) By contrast, Blair began the process of dismantling the NHS at the request of the US. Blair compares badly with the leaders of the past and of other nations. One can only suppose that the selection process that led to Blair becoming leader had protected him from real challengers because there were others of much greater ability. Previously, in the 1960s, the US government had been pretty realistic about what its allies could deliver – the US knew its limits and was prepared to relent at the point of pressing its allies to self-destruction. (Unfortunately, the US did in fact push Wilson to electoral defeat.) By the 2000s, the Bush administration was relatively crass and unskilful, disregarding the effect of demands on their allies, asking the unreasonable, because really they did not understand where to draw the line. When combined with allies whose leaders were themselves relatively isolated from the reality of what they could deliver, this became a toxic mix. Driving out dissent had left no reality-check to prevent stupid decisions. How had we arrived at this process of driving out dissent? As a result of globalisation – imposing the Washington Consensus. It had become impossible to deliver the unpopular neo-liberal policies required by Washington within political parties with any semblance of internal democracy. The only way for parties to function in government was to expunge internal democracy. This has been the trend across Europe, leading to the democratic deficit so widely remarked today. This was the inevitable result of many decades of covert US subversion of national governments, forcing them to execute policies against their national interests and against the popular will. This did indeed create a system capable of executing unpopular policies and overriding popular protest, at the risk of ignoring reasonable concerns and creating an unhealthy political monoculture. The long-term abuse of the allied relationship by the US led to the political deterioration of its allies. Ironically, it appears to be better for US policy and interests when its allies are more politically independent and the US has to negotiate more its relationship with its allies. Unfortunately, the Iraq War was not a one off – it was preceded by the invasion of Afghanistan and has been followed by numerous other wars since. The Iraq War itself was not an isolated event but a policy of sustained occupation which lasted a decade and arguably still continues today. The military occupation of Afghanistan does still continue. New military interventions in north Africa (Libya, Mali, etc.) and the Middle East (Syria) have had disastrous impacts. This is why the Chilcot Report was delayed for so long, and why the Chilcot Report does not and dares not address the real problems. Western government has become dysfunctional and does not know how to correct itself; the Iraq War is symptomatic of this. We should also consider how this reflects in the deterioration of internal politics and civil society. Our political leadership appear to have lost the capacity to recognise the problems that confront us and the solutions that are available. The current political system appears to have driven out those with sufficient ability to make the necessary changes.